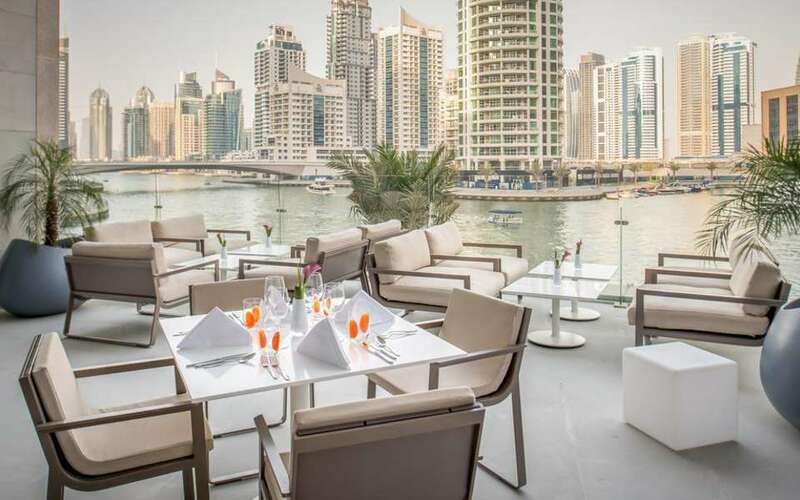 This open-air Mediterranean restaurant is located just meters from the sea and is one of the most popular beach eateries in the city. Offering authentic Greek cuisine, the restaurant’s casual yet chic atmosphere makes for the perfect chilled out dinner location. Make a reservation at Shimmers. 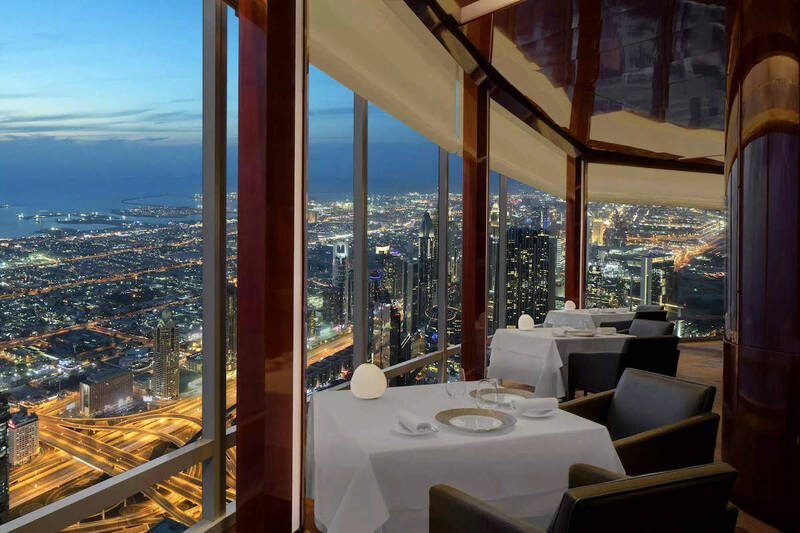 Situated on Level 122 of Burj Khalifa, At.mosphere is the world’s highest restaurant and one of Dubai’s most iconic dining destinations. 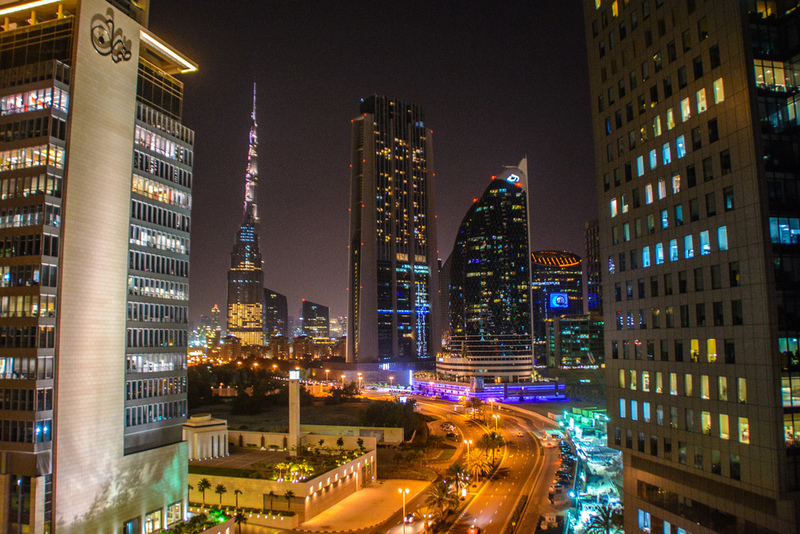 The panoramic views of the city skyline and the Arabian Gulf are unrivaled. The restaurant’s culinary offerings are equally impressive. 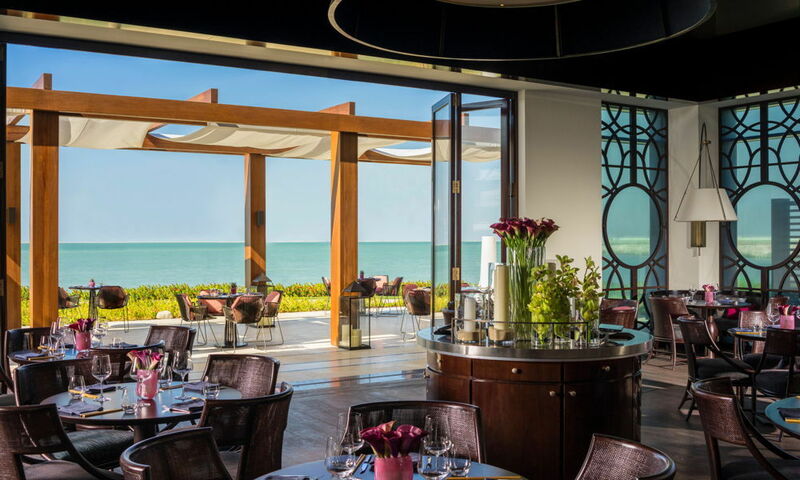 Expect top quality ingredients including prime cuts of beef, fresh seafood, and oysters from Brittany. The sky is the limit here! Make a reservation at At.mosphere. 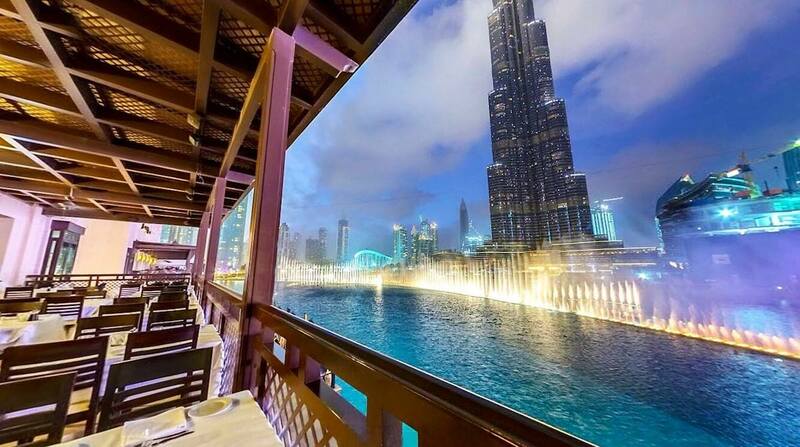 Tell us your picks for Dubai restaurants with a view here or over on Facebook, Instagram, Pinterest, or Twitter. And, remember to snap + share your #dishpics with us on Instagram for a chance to win in our weekly giveaway. Beatrice Clark has written for Vogue, Glamour, and Vanity Fair, among others, and has spent the past 15 years living in France, England, and Scotland. She is currently based in Berlin and is always on the hunt for the perfect Eggs Benedict.